Coach Richey Hansen didn’t always have his sights set on being a professional coach. After moving to Colorado to start his medical practice, he found he had some extra time on his hands and offered up his volunteer services to local schools as an athletic trainer. After being a middle school coach, he was unexpectedly given the opportunity to be a high school track and cross country coach for a team that hadn’t seen improvement or success in quite some time. After just four years coaching at the high school level, his men’s team finished 2nd in state and women came in 5th. Even though running is an individual sport in many ways, to finish in the top ten in state, a team has to be exceptionally well-rounded – something extremely hard to accomplish in just four years. After people started realizing how well Alia was doing, they wanted similar training and guidance to develop their skills. Coach Richey eventually established a team of about 10 athletes, with slightly more ambitious goals than he had for his middle and high school team members. 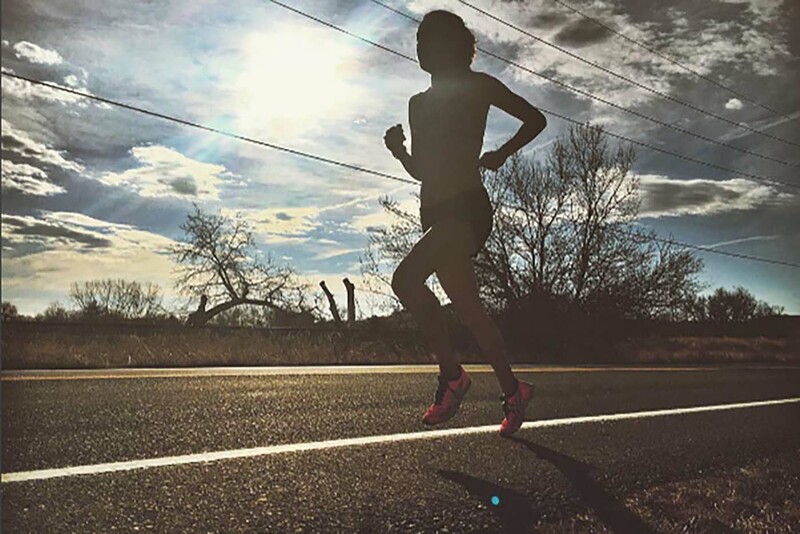 Even though the professional runners at Roots have loftier expectations, the pillars of Roots Running Project remain the same as many everyday athletes. What really stuck with me was the emphasis Coach Richey put on his athletes to get down to their running roots (that’s right, the name was intentional). It is about a lifestyle, not just the flashy Instagram posts with neon training gear to get social media recognition. The reality for every team member at Roots is that they are training for the Olympics. Casual, I know. This means that they all feel the pressure to see progress at a deep level, and that it isn’t just a personal goal, but the feeling of needing to succeed for the Roots team. Even with the strong desire for success, as Richey said, balance is key. They have to be able to manage their diets, their sleep schedule, their workouts and their lives to optimize their performance. Despite this, Richey paused to note the importance of a social life. As hopeful future Olympians, they feel a lot of pressure, and to handle everything they need to have support from all sides. One aspect they evaluate when deciding who to accept to the team (along with times, health history, etc.) is personality. By only taking on those who Richey feels will fit in with the team – and will be dedicated to the team goal – they have built a group of people that, to simply put it, are really cool. They have diverse backgrounds but come together with a similar goal and provide each other with laughs and cheers. Their team dynamic reminds me of aSweatlife’s motto, that #EverythingIsBetterWithFriends. 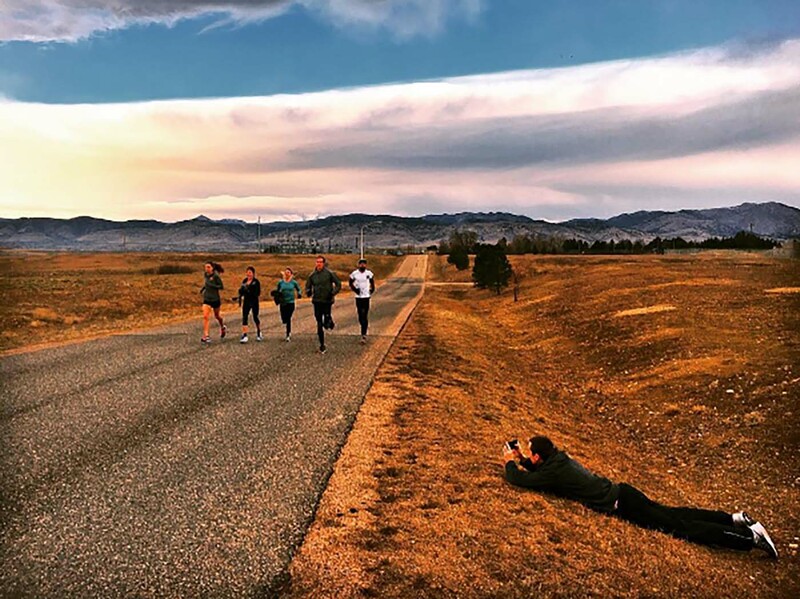 After hearing the inside scoop about what it takes to be a professional runner with Roots Running Project, overall the team members are trying to find success and balance just like us, they may just make history while doing it.